What Is a Debit Memo? It's not uncommon for business owners and service providers to undercharge customers. For example, if you're a web designer and the project on which you're working takes more time and effort than you thought, you may want to charge more. In this case, it makes sense to issue a debit memo or debit note to your client. This document is widely used across all industries for incremental billing, bank transactions and more. A debit memorandum, or debit memo, is a form issued by sellers to notify customers that they have not been billed or charged enough. It has the role to manage the balance due on a particular invoice and to correct billing mistakes. Let's say you own a digital marketing agency, and one of your clients requests additional services after placing an order. You can either issue a debit memo or a new invoice covering these services. If you choose the first option, it's necessary to record the debit memo on the monthly statement of outstanding accounts receivable. Banks issue debit memos to notify customers about charges for loan payments, interest, bounced check fees, DDA debit and credit charges and so on. This document may also be used to charge a commission or offset a credit balance remaining in a customer account. Think of it as an informal invoice. As a business owner, it's important that you understand the difference between debit and credit memos. The latter is used to reduce the amount that a buyer owes to the vendor. Buyers record this reduction in their accounts payable balance, while vendors record it in their accounts receivable balance. In general, companies issue a credit memo when the fees charged to a client are too high. For example, a factory may issue a $2,000 invoice for 200 units of goods where each unit costs $10. The buyer informs the factory that five units are defective. In this case, the factory may issue a credit memo of $50 and record the transaction in its accounts receivable. The amount specified in the credit memo can be refunded to the buyer or applied toward a purchase. Just like a debit memorandum, this document is usually for a previous invoice. Both documents have the role to correct billing mistakes and invoice errors. State the reason you're issuing a debit memo. Describe what is owed and why. Use a professional tone. If the debit note is related to a previous invoice, include its number in your note. Depending on your preferences, you may use a spreadsheet program, a word processor, billing software or debit note templates. Many websites, such as Smartsheet, Template.net and Biztree, provide free templates that can be customized according to your needs. All you need to do is fill out, download and print the form. When you're done, send the debit memo to your clients. 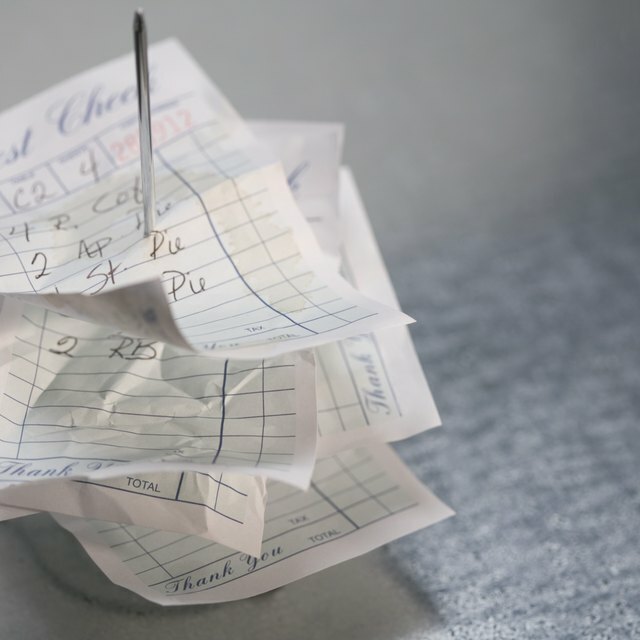 If they don't pay on time, create and send another debit note. Consider using a software program like QuickBooks to keep accurate records of your debit and credit memos, invoices and other financial documents. My Accounting Course: What Is a Credit Memo?